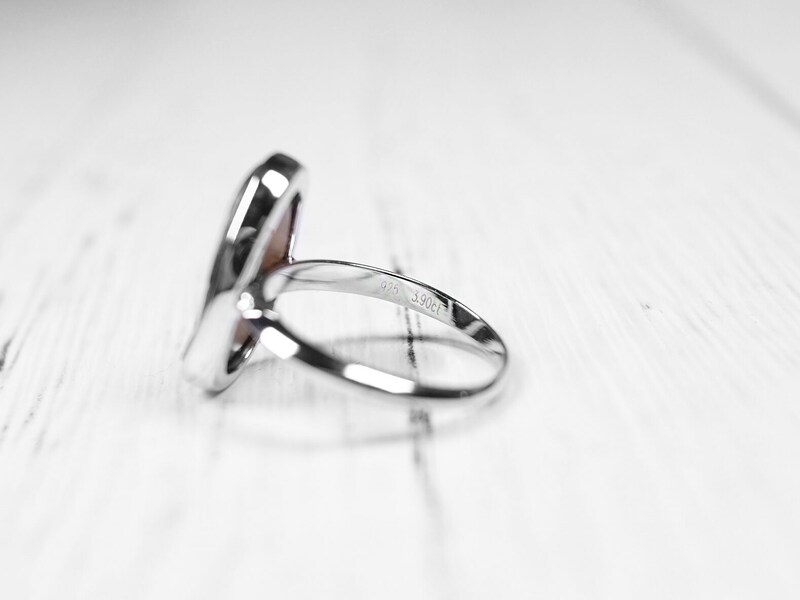 This ring will be the exact one you receive when you purchase this. Don't worry about getting a lower quality one. 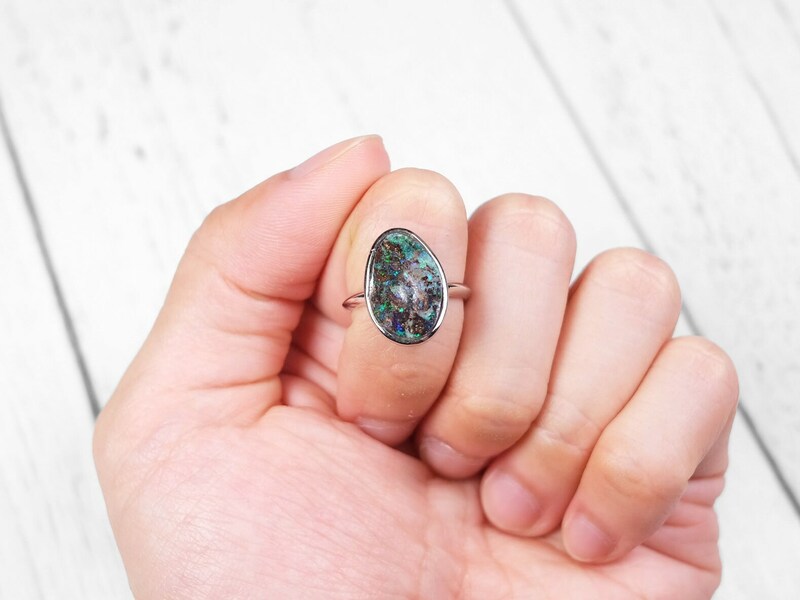 This boulder opal is 100% genuine and natural. Not lab-created. 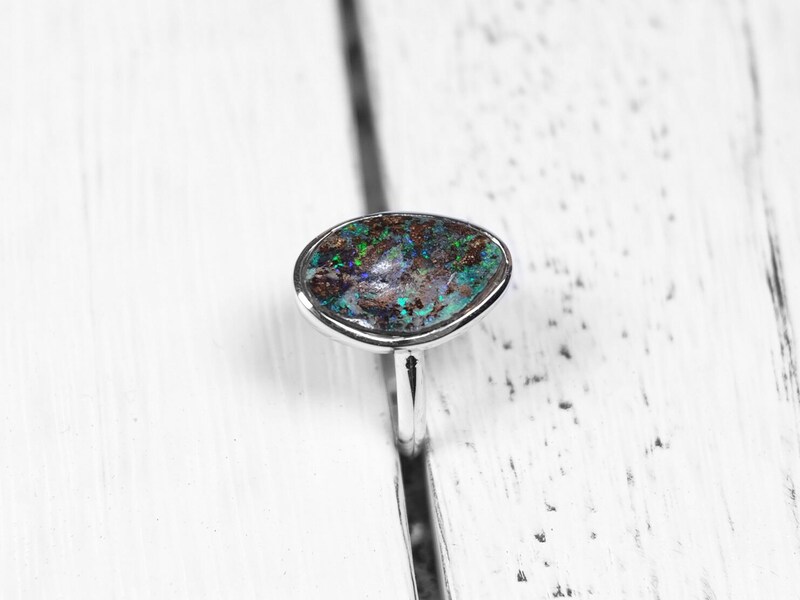 Boulder opal is a valuable opal variety, following the famous black opal. 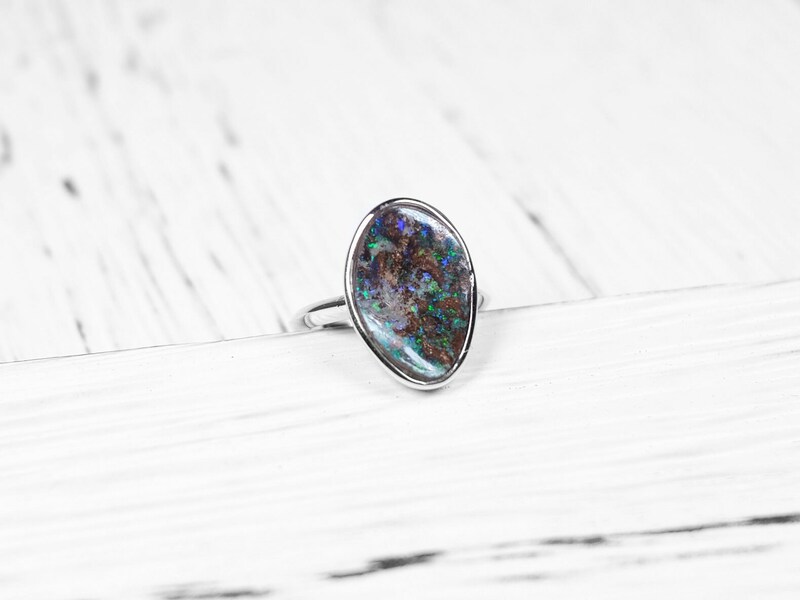 The opal is embedded in the ironstone, and this ring's opal has some green and blue in between the brown boulder. 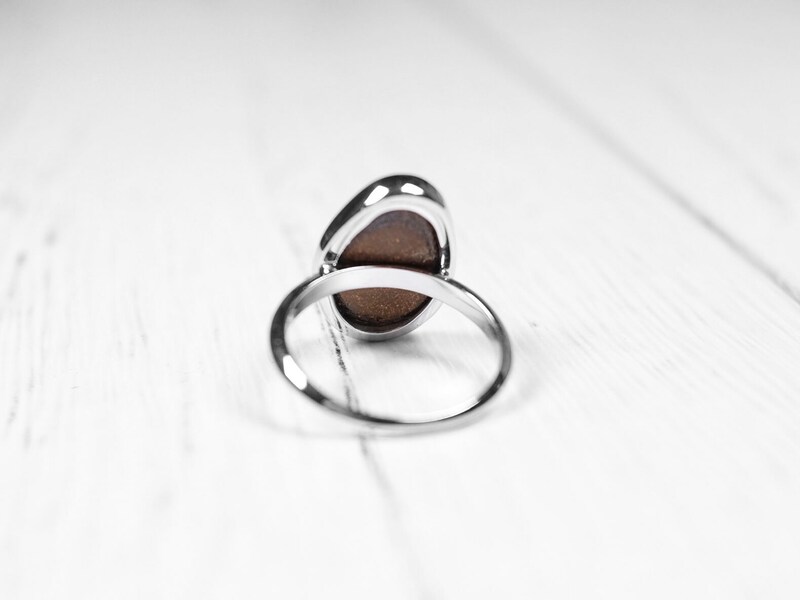 The gem is set in a 925 sterling silver ring. The ring size is US size 6.5. 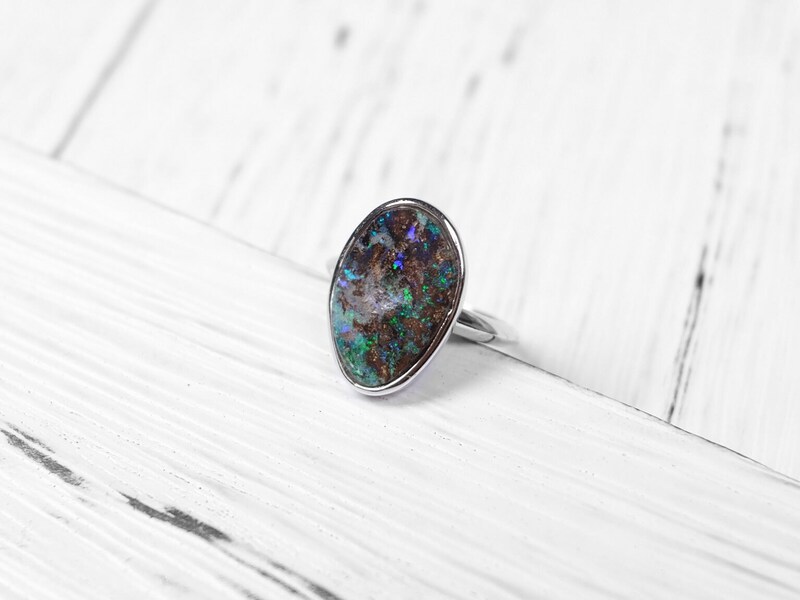 Opal is one of the most beautiful and most famous gemstones in the world. 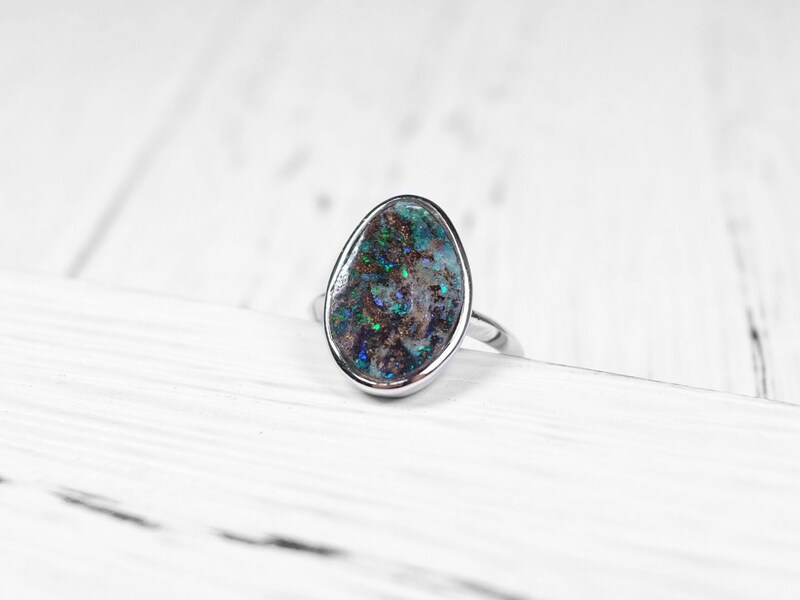 The name opal comes from the Roman word opalus, which means “precious stone”. 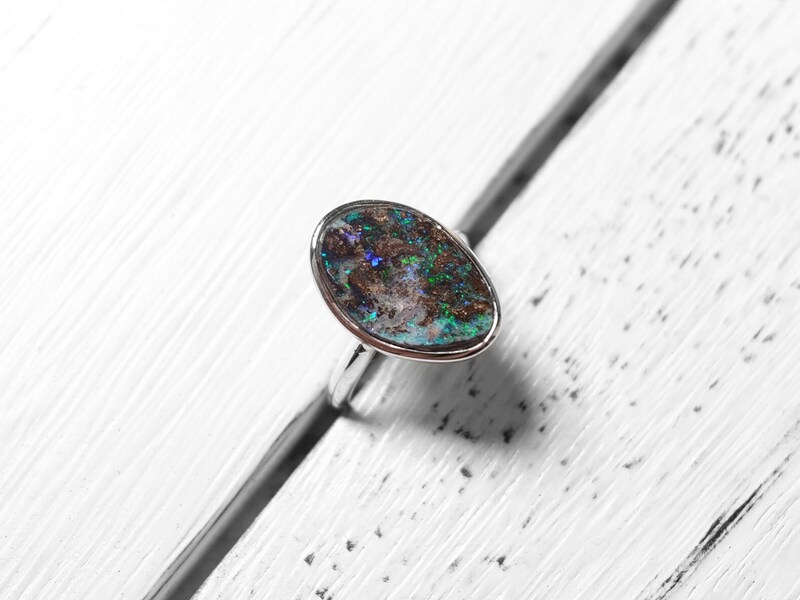 Precious opals flash colors when you turn the stone. This effect is called play-of-color. 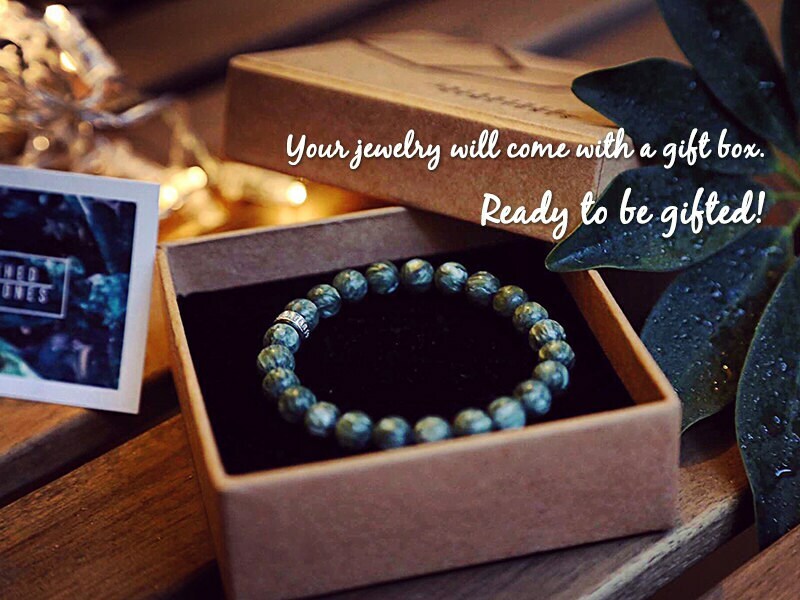 The best quality stones are those with a bright color play displaying all the colors of the rainbow. 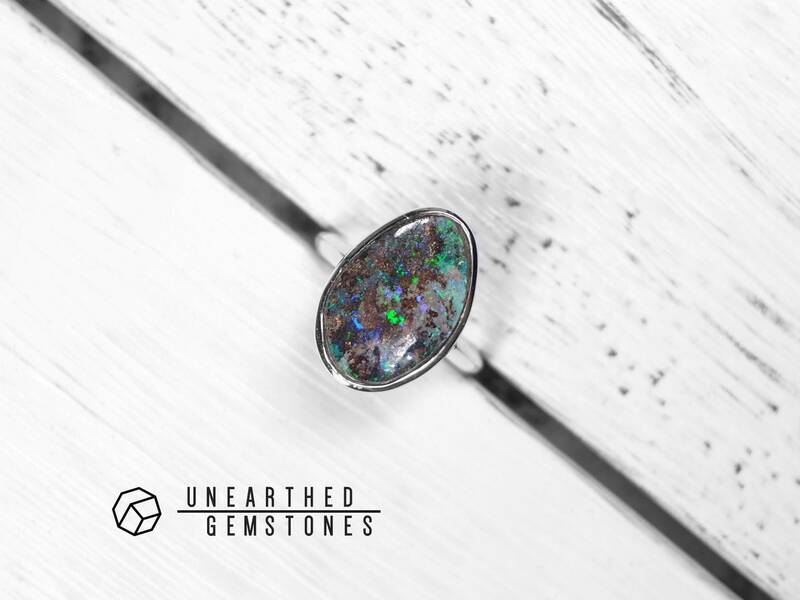 Opal is primarily mined in Australia and is one of the birthstones of October alongside tourmaline.